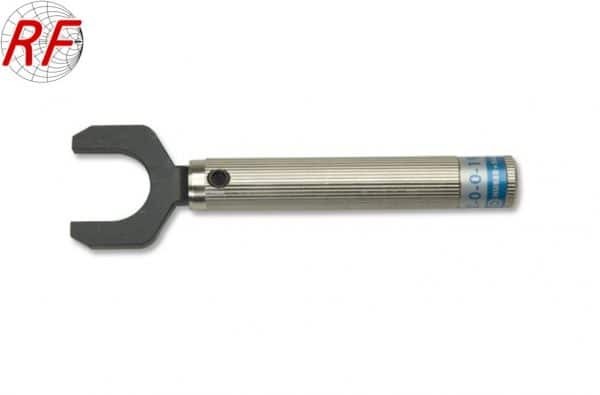 The Huber Suhner 74Z-0-0-193 steel torque wrench is designed for use on N series connectors. 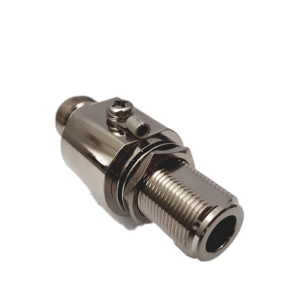 It has a torque of 1.00 Newton-meters (8.8 inch-pounds) and an opening of 20mm (.787″). 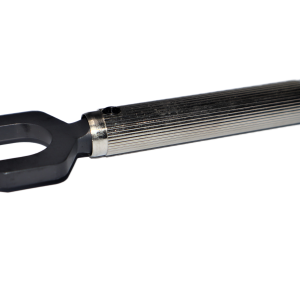 Since the proper tightening torque ensures optimal performance over time, this click-style torque wrench pivots when the torque setting is achieved, preventing over-torque conditions. Ergonomic styling makes the handling of this 4.5″ long wrench easy.